Loud, banging or booming sounds from your furnace when your furnace turns on is generally caused by a buildup of gas in the area where your burners ignite. This often occurs when your burners or ignition system are dirty and need to be cleaned or repaired. The sound could also be coming from your ducts when they're expanding and contracting. If you hear a loud or booming noise come from your furnace, don't just ignore it--call your your local furnace repairman as soon as possible to come to your house and do furnace repairs or furnace replacement in Brooklyn Center MN. Clanking, rattling, and vibrating sounds coming from your furnace or ducts is usually an indication that some screws or panels are loose, or a sign of a leak or crack in your heat exchanger. Loose screws or panels are generally an easy fix, however, you should probably have your professional HVAC company inspect your furnace for any damage or dislodged parts and perform the necessary furnace repairs or furnace replacement in Brooklyn Center MN. All Climate Mechanical, your local HVAC contractor in Brooklyn Center Minnesota, can provide you with the following services: Furnace Replacement, Furnace Repair, Furnace Service, Furnace Maintenance, Air Filters and Filtration, Boiler Replacement, Boiler Repair, Boiler Maintenance, Boiler Controls and Outdoor Resets, Pipe Thawing, Boiler System Operation, Unit Replacement, Unit Repair, Unit Maintenance, Storm Damage Assessment, Thermostats and Controls, Rebates, Preventative Maintenance, Air Conditioning Replacement, Air Conditioning Repair, Air Conditioning Maintenance, Air Conditioning Coils, Ductless Split Systems, Economizers, and Plumbing. 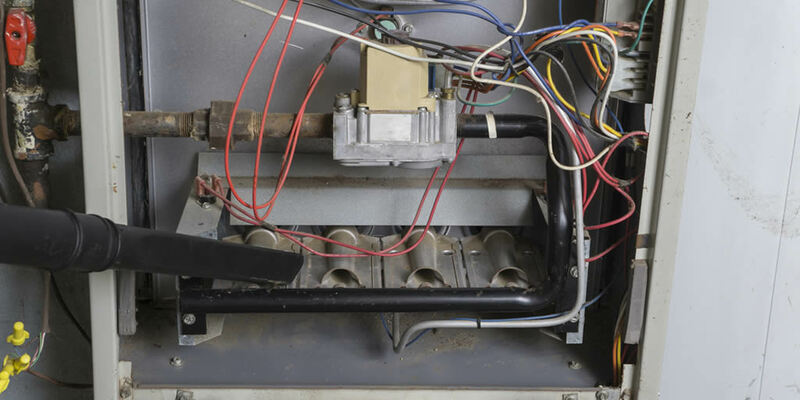 Loud, banging or booming sounds from your furnace when your furnace turns on is generally caused by a buildup of gas in the area where your burners ignite. This often occurs when your burners or ignition system are dirty and need to be cleaned or repaired. The sound could also be coming from your ducts when they’re expanding and contracting. If you hear a loud or booming noise come from your furnace, don’t just ignore it–call your your local furnace repairman as soon as possible to come to your house and do furnace repairs or furnace replacement in Brooklyn Center MN.